So, what do you think of it so far? 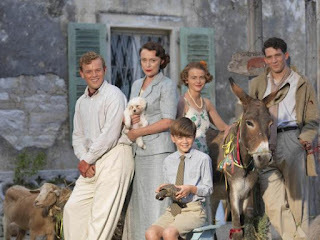 The Durrells, I mean. 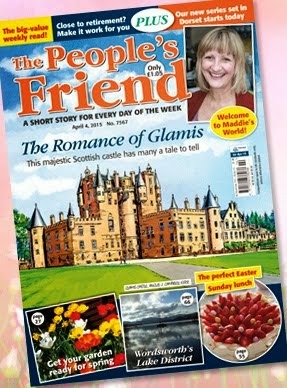 If you live in the UK, Sunday evenings on the telly have just got a whole lot gentler. The always-watchable Keeley Hawes heads the cast in a series based on Gerald Durrell's Corfu Trilogy. And it's pretty sublime. The warmth and light of Corfu shines through in this very enjoyable series. It's a bit like The Darling Buds of May only set in Greece. Just the thing for a Sunday evening. It's got me hankering after Corfu, where I lived for a year in 2012-2013. I do pop back there from time to time and I know how lucky I am to have a foot in beautiful West Dorset and another in the jewel of the Ionian (although I have to be careful not to do the splits). Just like the Durrells, we left rainy Dorset, pretty much on a whim, for life on a Greek island. Who wouldn't want to up sticks and escape the drudgery of the day job? Especially to Greece. But my grown-up gap year was not what I expected. I was homesick beyond belief. By the end of it, I had learned a lot - not much in the way of the language, it's true, but a great deal about myself. Most of all, I absorbed the power of philoxenia, that extraordinary Greek kindness which is more than just hospitality, it's true generosity of spirit and part of the greater concept of philitimo. 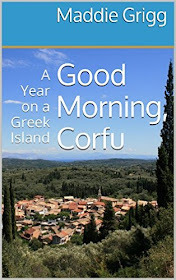 My book Good Morning, Corfu: A Year on a Greek Island is due out on 29 April and is available to pre-order on Kindle. The paperback version will follow soon after. I'll certainly watch for the new series - it will appear here next year. 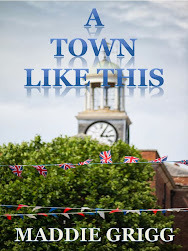 I'll watch for your book too - as soon as it is out in paperback please let us know. Corfu - such a beautiful island and such warm people. Would so love to go back.